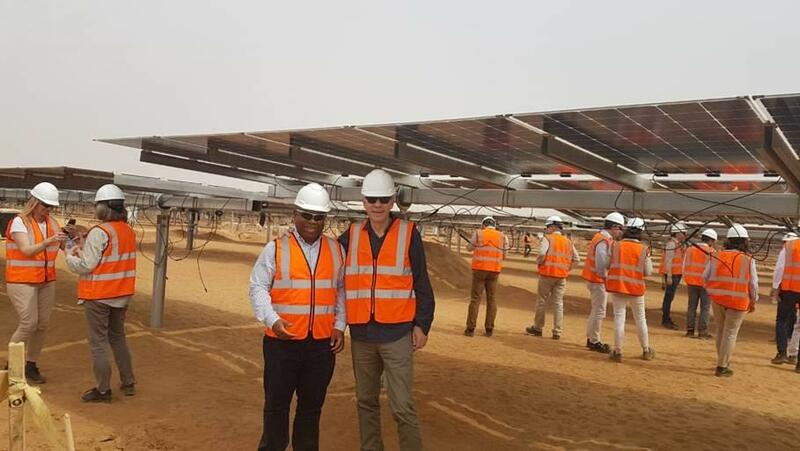 The first tranche of the 400MW Benban solar power plant project in Egypt - 65 MW – has been connected to the grid and officially entered commercial operations on Thursday 11 April 2019. In April 2017, Africa50 entered into a joint development agreement (JDA) with Scatec Solar and Norfund, committing late-stage project development equity funding for six photovoltaic power plants totaling 400 MW.The project reached financial close in October 2017, with Africa50 contributing 25% of the required equity to fund construction alongside Scatec Solar and Norfund. Senior debt was provided by EBRD, the Islamic Development Bank, the Islamic Corporation for the Development of the Private Sector, the Netherlands Development Finance Company, and the Green Climate Fund. The six plants were developed under the second round of the Egyptian Feed-in Tariff Programme (FiT). They are amongst the first utility scale projects using bifacial modules which allow to produce electricity from both sides of the panels. They are also the largest contributor to the wider Benban programme, which is the largest solar park in the world , consisting of 30 plants with a combined capacity of around 1.5 GW.